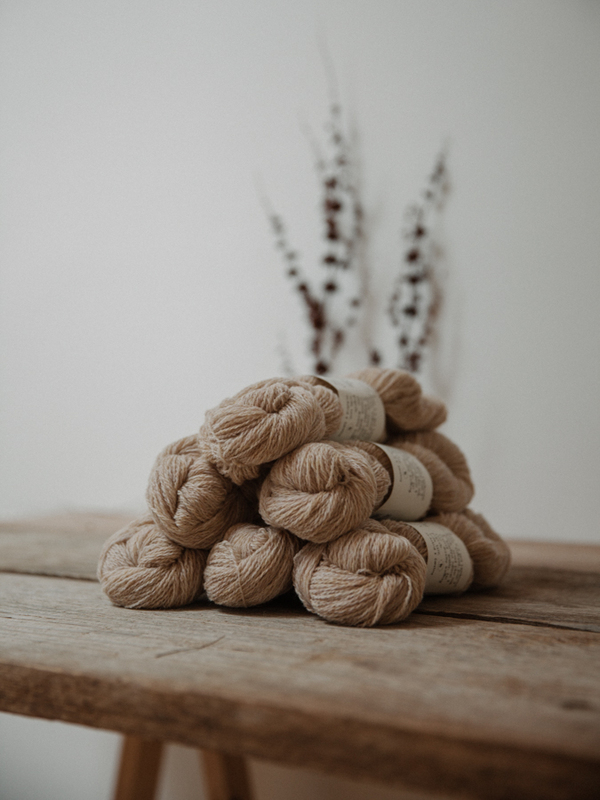 the Caroline cap is designed by Carrie Bostick Hoge for Anthology 3 and uses Le Petit Lambswool by Biches & Bûches. the wool : it is the biches & bûches " Le Petit Lambswool", a pure lambswool from scotland. 30 sts and 44 rnds = 4" [10 cm] in Cable & Lace pattern, after blocking. the biches & bûches knitting kit : your kit contains the wool in your chosen color of le petit lambswool + the little biches & bûches knitting pouch. the pattern is not included in this yarn kit, but you can find the pattern book here. construction : the cap is worked in the round from the brim to the crown.